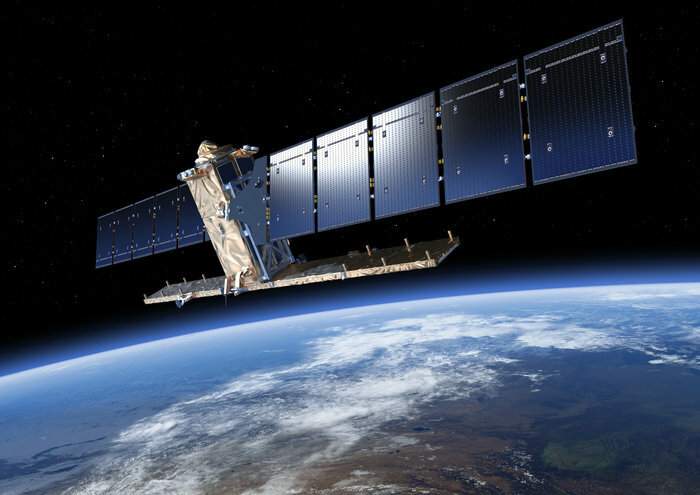 September 1, 2016 – European Space Agency (ESA) engineers have discovered that a solar panel on the Copernicus Sentinel-1A satellite was hit by a millimeter-size particle in orbit on August 23. Thanks to onboard cameras, ground controllers were able to identify the affected area. So far, there has been no effect on the satellite’s routine operations. A sudden small power reduction was observed in a solar array of Sentinel-1A, orbiting at 700 km altitude, at 17:07 GMT on August 23. Slight changes in the orientation and the orbit of the satellite were also measured at the same time. 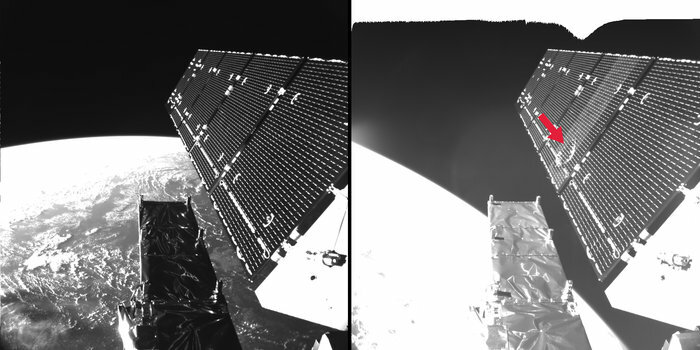 Following a preliminary investigation, the operations team at ESA’s control center in Darmstadt, Germany suspected a possible impact by space debris or micrometeoroid on the solar wing.